Chef's Plate and FreshDirect are designed to take the stress out of meal planning and this Chef's Plate VS FreshDirect comparison is designed to make it much easier to choose between them. Get a comprehensive overview of these companies’ crucial features and scroll down to discover the definite winner of the comparison. Chef's Plate features two menus - the 2 Person Plan and the Family Plan. Chef's Plate provides 9 recipes with the 2 Person Plan and 7 recipes with the Family Plan. 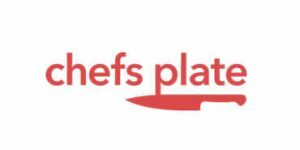 Chef’s Plate is one of the finer meal kit services in Canada. It offers fresh, natural ingredients and innovative recipes that allow home cooks to create amazing dishes in even less than half an hour. It is great for couples and families or even a single hearty eater. Discover its menu, pricing, and other particulars in this Chef’s Plate review.